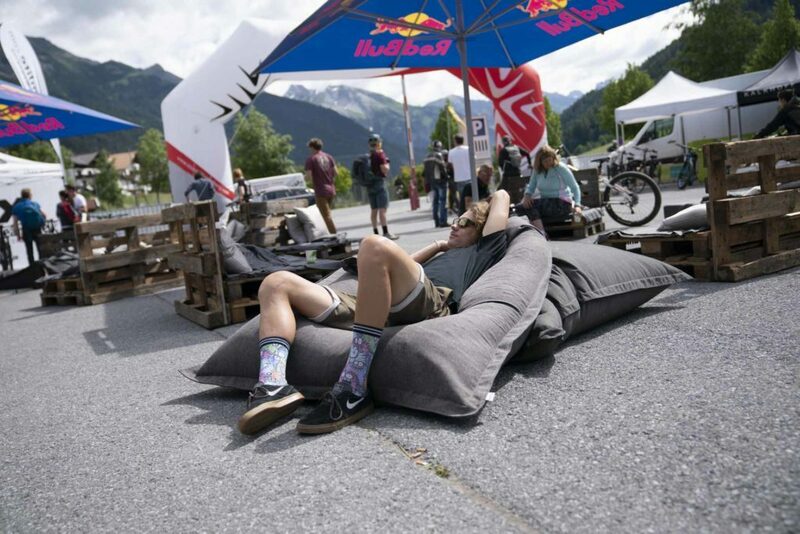 The E-BIKE FEST St. Anton powered by HAIBIKE® has a lot to offer. 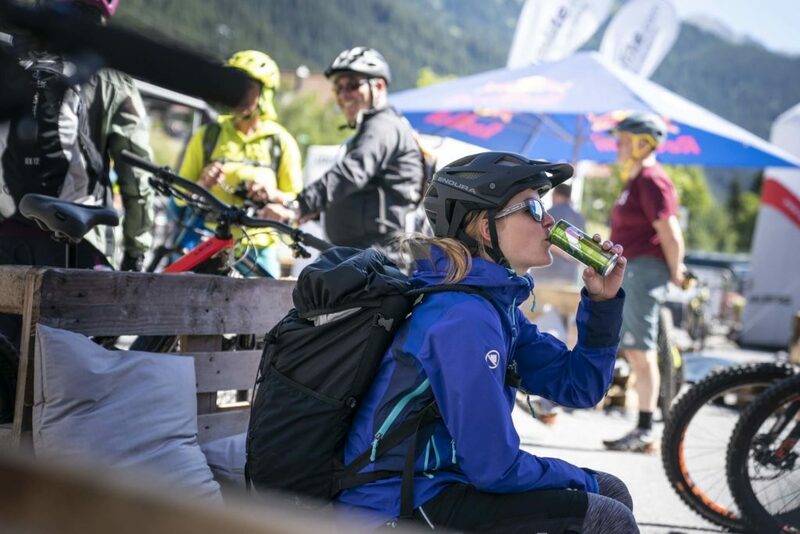 The THULE® E-BIKE RALLYE, the E-BIKE FEST APRES BIKE Get-Together on Friday evening and the E-BIKE FEST HUT EVENING on Saturday evening round off the varied offer. Take up the challenge! 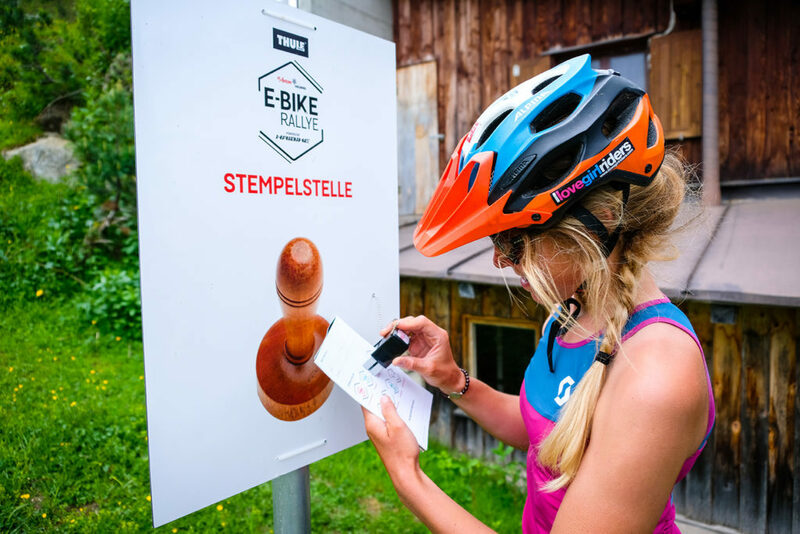 Explore the e-mtb region St. Anton am Arlberg either together or on your own and collect hut stamps. The total distance to be completed is over 70 km and 2.000 metres of altitude difference. 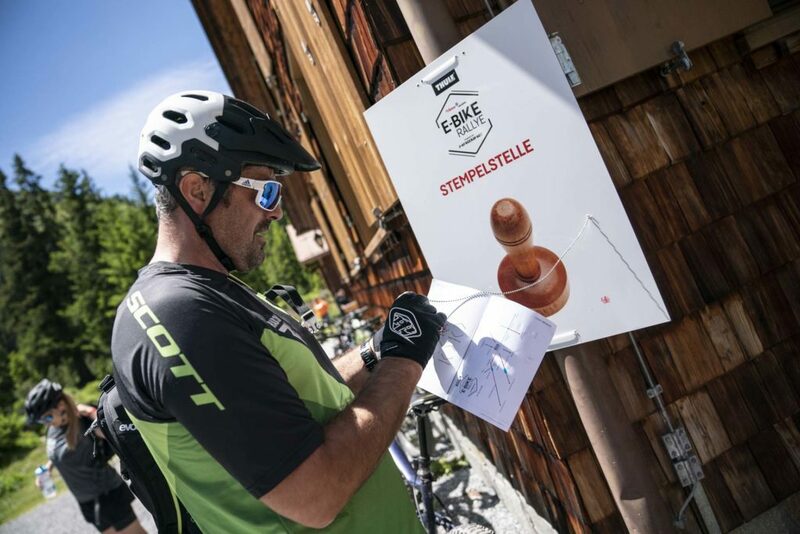 With just four stamps you will receive the coveted THULE® E-BIKE RALLYE 2019 Finisher Medal and with seven stamps you will earn the chance to take part in the THULE® E-BIKE RALLYE raffle where prizes include THULE® vouchers worth € 2,500! The prizes will be raffled in the days after the event. from Friday von Freitag, 21st June 2019 / 12:00 hrs. until Sunday, 23rd June 2019 / 15:30 hrs. 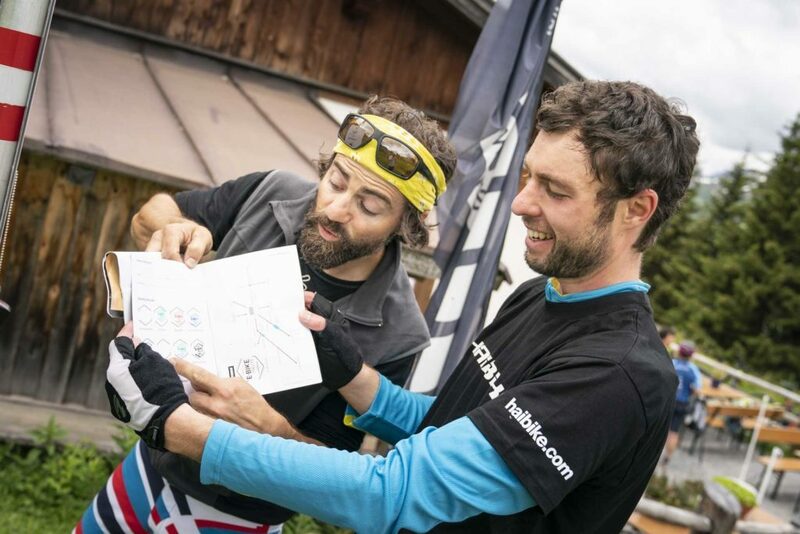 You can also complete the THULE® E-BIKE RALLYE at full speed in one day or take your time and enjoy the wonderful mountain scenery and take time for a hearty meal and refreshments at one of the rustic huts scattered throughout the region. All stamp points can be found in the official festival guide, available at the festival site. It is not necessary to register in advance. The riding time is not counted. Fun stands in the foreground! Relaxed end of the first day of the festival. Every good ski day in St. Anton am Arlberg ends with a fun après-ski party. 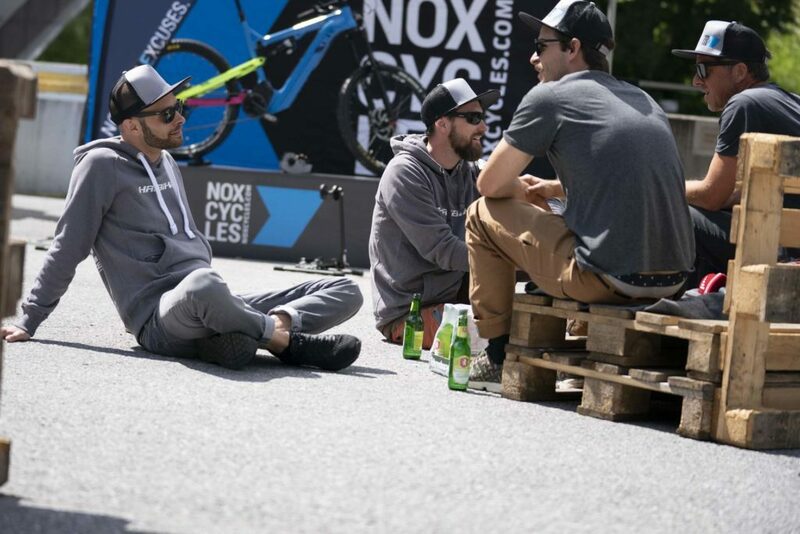 Why not end a great bike day with a relaxed après-bike get-together? Somewhat quieter and not as intense as in winter, but no less sociable. Music, comfortable seating and cool drinks create a relaxed atmosphere. The perfect setting to talk over the day’s biking with like-minded people. Friday, 21st June 2019 / 18:00 hrs. – approx. 20:00 hrs. The crowning finale of the second day of the festival. On Saturday evening we invite you all to a convivial hut evening at a rustic hut above St. Anton am Arlberg. 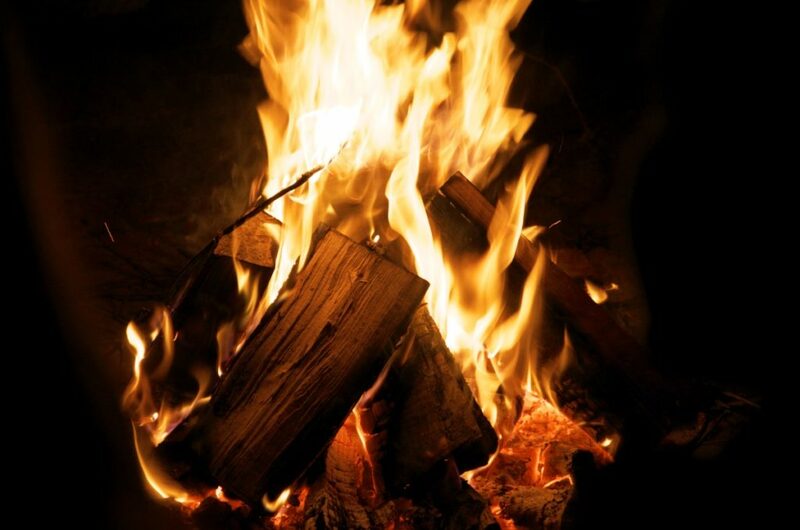 At Alber´s Rodel-Alm a crackling campfire, atmospheric live music and delicious drinks await you and where a couple of hut games will definitely add to the great atmosphere. 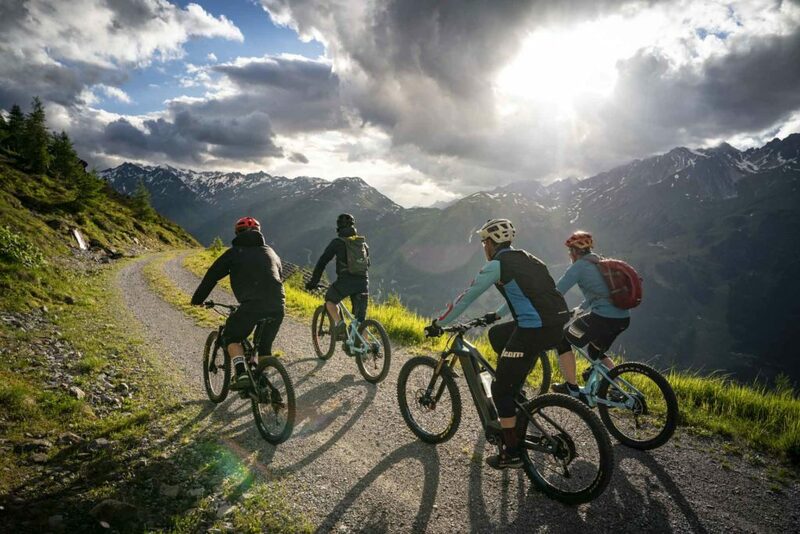 Join our local guides and the expo staff starting with the e-bikes at 19:30 from the festival area to the hut. Saturday, 22nd June 2019 / 20:00 hrs. at the festival area at 19:30 hrs. The ride up to the hut can be done either with your own e-bike or with a rental bike from one of the local sporting goods dealers. Unfortunately no test bikes from the manufacturers are available for the ascent, however it is also an easy walk to the hut itself taking only only approx. 30 min on foot. The hut evening officially ends at around 22:30. The descent back to the valley is at the individual risk of each participant.